Monthly giving programs have become more popular as nonprofits realize their potential, and donors find out just how convenient they are. Monthly giving is just another name for recurring giving, which is the generic term for any donation that is made automatically at a regular interval. Sometimes monthly givers are called "sustainers." Recurring giving is just what it says -- the option to give automatically to a charity on a recurring basis. That basis could be monthly, yearly, quarterly, or some other preset interval. Most people seem to prefer the monthly option. In most cases, that monthly donation comes from a credit card, although recurring donations can be set up for a donor's checking account. Why is monthly giving so important? A steady, predictable source of income. Retention is high among monthly givers. Very few cancel their donations and just signing up for monthly giving is a good sign that the donor is engaged and committed to your cause. Unlike a pledge, which is paid off over a set amount of time and then is finished, recurring giving can go on indefinitely. Most recurring giving programs do not have end dates, although, sometimes, options are offered. For instance, a one or three-year duration is a possibility. With recurring giving, donor inertia works for your charity. It takes an effort to cancel, so most people just don't. Small donations are significant gifts in disguise. Most recurring donors like this option because it allows a small donation to become a greater one over time, without straining the donor's budget. Recurring donations tend to be low ($5 to $50 on average) but mount up quickly through repetition. The aggregate for the charity can be considerable, especially if the donor's gift goes up over time. Many recurring givers also respond to other appeals over and above what they give monthly. Recruiting monthly donors is inexpensive and affordable. It's not that hard to find and recruit monthly givers. That's partly due to an increasing interest in online giving. Once set up, the donation process is electronic and automatic, so processing fees are minimal. You can easily integrate your recurring gift program with another fundraising such as email, direct mail, and telemarketing. Super easy processing, tracking, and record keeping. Once a recurring donation system is set up, it's easy to maintain and requires little human interaction. Most electronic donation systems offer a recurring option whether the charity uses its merchant account or a third party processor such as PayPal or Network for Good. Your donor management software may be able to incorporate recurring gift data right into the data management system. Donors like being able to turn a small donation into a larger one without straining their pocketbooks. They appreciate the charity's need for long-term, reliable income and are happy to help. They enjoy the convenience. They can set it up once through a credit card or by preauthorization with their bank and not have to worry about it for a long time. Are there drawbacks to a recurring gift program? The benefits of recurring donations far outweigh any challenges, but there are a few cautions to keep in mind. You must educate your donors about the program and convince them that it is safe and reliable. Most consumers have become comfortable with online shopping, banking, ticket purchases, and more. Even while online scams and fraud seem to grab the headlines, consumers have become savvier about how to protect themselves online. If your nonprofit brand is good, you are transparent about how you use your donors' money and have all your technological ducks in a row, it shouldn't be too difficult to convince donors to adopt monthly giving. 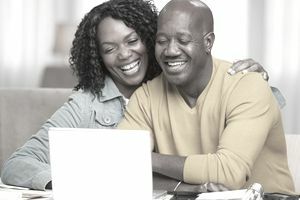 You do have to keep your donors' information up to date.That includes their addresses, bank accounts if they choose the option of automatic withdrawals, and safekeeping of credit card numbers and expiration dates. Expired credit cards may be one of the most challenging aspects of recurring giving since you must contact the donor (by email first and then with a follow-up phone call if necessary) to remind them to update their information in your system. That updating should be relatively straightforward, but it does give a donor the opportunity to just not respond and thus drop out of your program. Although dropouts are not numerous, they are hard to get back. Some CRM systems, such as Blackbaud's Credit Card Updater, can make it much easier to deal with expired credit cards or when a donor simply changes his or her credit card. That happens more these days because of security issues. You must continue to communicate with recurring donors. You must not just set donors up for recurring giving and then ignore them. These are some of your most loyal donors, so make sure that they receive a proper, thank you for signing up, and ongoing communications such as email newsletters, annual reports, and an occasional unexpected thanks or gift. Recurring giving is still an under-used way to raise funds, especially in the US. The advantages far outweigh any problems. Since recurring gift programs work best with online giving, once your charity has a robust online donation system in place, it should be no problem to set up a monthly giving option. Once you see that steady stream of reliable income, you'll likely never look back. Is Your Nonprofit Playing by the CAN-SPAM Email Rules?